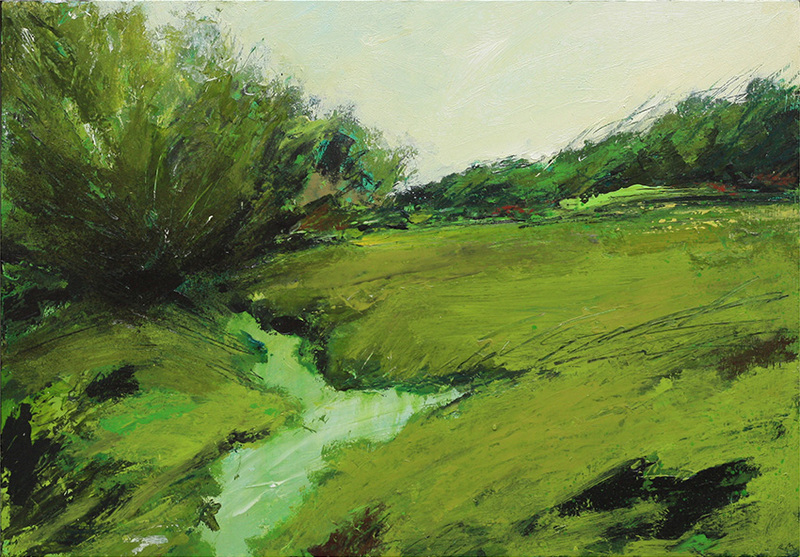 Rob Murray’s paintings explore his connection to the British rural landscape, particularly his home in the South of England. 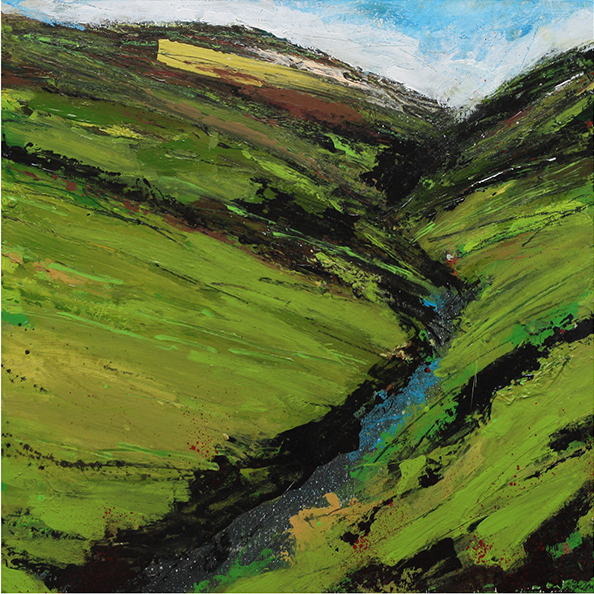 Recent work has also been inspired by time spent in Cornwall, the Yorkshire Dales, Suffolk and the Lake District. The paintings rely equally on observation and memory; they embrace abstraction and are more interested in evoking the sensory experience and emotional impact of the landscape than directly reproducing what was seen. 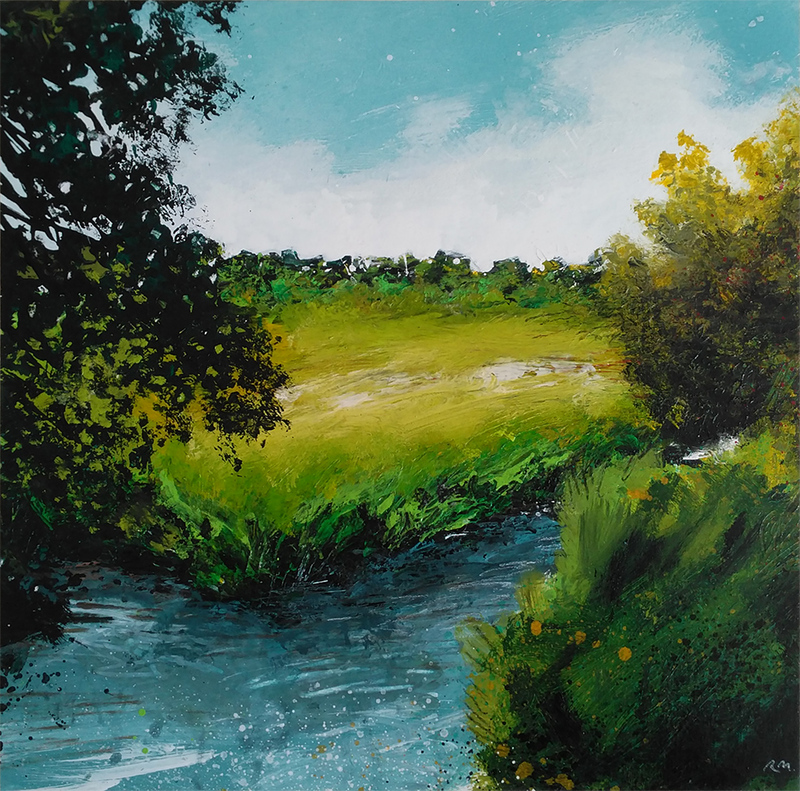 Rob uses a wide variety of media in each painting, from oils and acrylics through to house paints, pastels, inks, enamel spray paints, charcoal and coloured pencil. 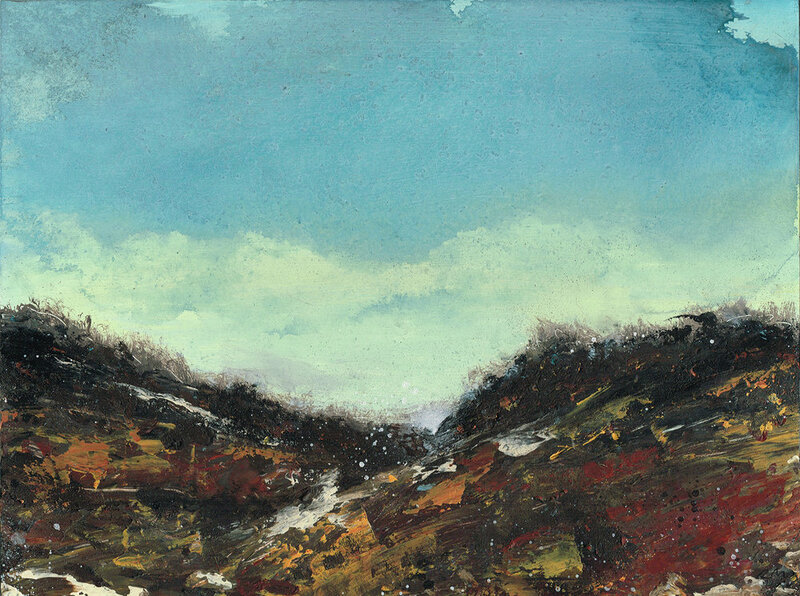 Nothing is off limits, and he will often make decisions spontaneously as he seeks to express his memories and feelings of an encounter with the landscape. The happy accidents that occur when these various media combine are essential to the work. 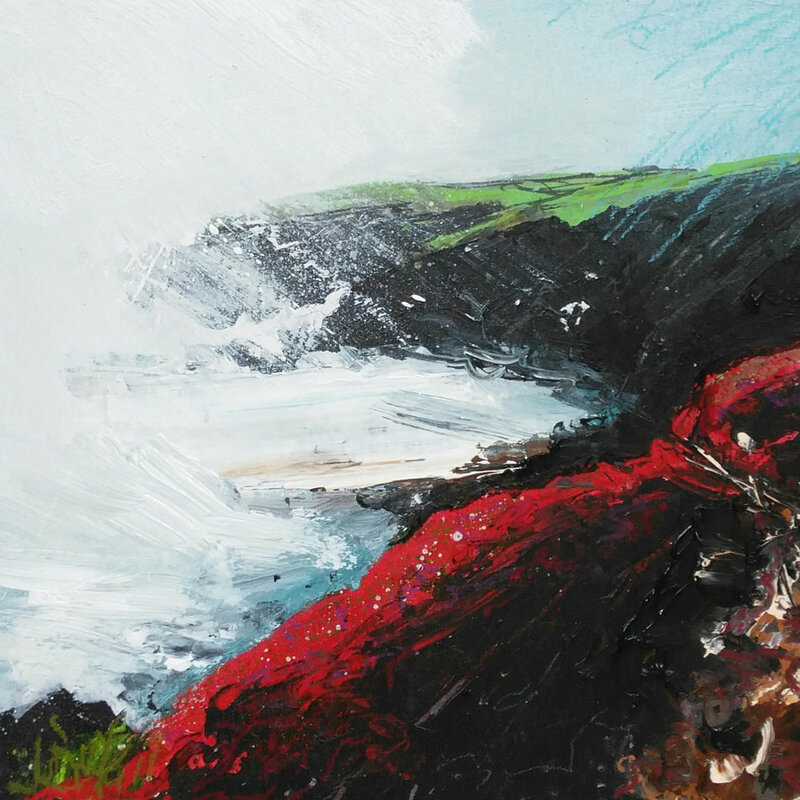 Rob’s paintings are as much about the act of mark-making as they are about depicting a particular landscape or location. He wants the process of painting to show through, and for each painting to maintain the spontaneity and energy with which it was produced. In the past year, Rob’s work has been pre-selected for the Columbia Threadneedle Prize, and shortlisted twice for the National Open Art Competition.